Do genuine Toronto hotel deals really exist? The answer is YES, they do. Due to high competition, many Toronto hotels regularly offer discount rates, great last minute deals and vacation packages. 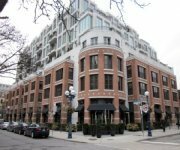 On this page you will find some useful tips and techniques to find best bargain hotel deals in Toronto. By snapping a cheap Toronto hotel deal, you can save a lot of money on your desired hotels. If you are travelling on budget, the best hotel deals in Toronto will make it less painful for your pockets. More importantly, you will find hot deals on many expensive luxury and boutique Toronto hotels, so that you can enjoy the finest accommodation without compromising the comfort and class. Here are top 6 tips you should apply when looking for great Toronto hotel deals. Book your Toronto hotel accommodation early. This is sure shot way to get best bargain hotel deals in Toronto, no matter the season. Summer (June-August) is a peak travel season for Toronto, with streets of city literally flooded with hordes of tourists. If you plan to visit Toronto during summer, I strongly recommend you to make your hotel reservation well in advance. Hotel rates during peak seasons (summer, Christmas holidays, New Year) are usually very high than regular season. So if possible, avoid peak seasons and book the Toronto hotel for off-peak seasons. Most of the downtown hotels are conveniently located close to major tourist attractions and events. When you book your accommodation at Toronto downtown hotel, you put yourself in the middle of all the action and thus save a lot of your valuable vacation time and energy. However, Hotel rates in downtown Toronto are generally in upward range. In contrast, you will find hotels with lower rates in some less accessible areas, especially outside of downtown Toronto and other Toronto suburbs. However, you have to decide whether the cost of travelling, time and inconvenience is worth the price. My personal opinion is to look for downtown Toronto hotel deals, so that you can stay in heart of Toronto, close to all major hot spots and hubbub of city centre. Time and date of year also play major role in deciding the hotel rates. You can get significant discount by changing your travel date by one week or even a day. For example, hotels catering mainly to business travellers offer discounted weekend rates, but they may charge regular or even premium rates during the weekdays. Similarly, hotels for leisure travellers may offer special cheap rates to fill up the vacancies during weekdays. All-inclusive travel packages are great options for visitors looking to save some money. The packages bundle airfare, hotel, food and car rental expenses and offer huge savings. Don't forget to check the fine print carefully for any extras not included in the package. You can also choose the bare basic air and lodging packages and save significant amount and still enjoy the flexibility of dining and transportation choices. Thus, all-inclusive packages offer great savings and at the same time relieve you from the headache for budgeting each facet of travel separately. Many Toronto hotels offer great rates to fill up their unoccupied rooms at the last moment. If you are lucky, you can save as much as 50% on your Toronto hotel accommodation with last minute hotel deals. Though, it's extremely difficult to find last minute deals during high season, discovering amazing last minute deals during off-peak seasons is quite common. Luxury hotels are costly because of the lavish and extravagant amenities like spas, state-of-the-art health centres, exquisite bars and sumptuous restaurants. While some travellers like to be treated with excessive indulgence, many travellers don't care much about them. If you can survive without some of these luxurious amenities, you can consider many decent and elegant mid-range budget hotels in Toronto. You can save a lot by giving up non-essential facilities. Believe me! The best place to find Toronto hotel deals and bargain rates is the Internet. Because of the power of Internet, searching for cheap, discount rate on Toronto hotels is very simple and straightforward. You can compare rates, location, amenities, view photos and read real travellers' reviews just with few clicks of mouse. And best of all, you'll have a wide range of alternatives and may find discounts of up to 50% off regular prices on your favourite Toronto hotels. So here is the list of best sources for online search. To find the cheap rates for Toronto hotels, start with tripadvisor.com, featuring the most powerful shopping tool on the web. Tripadvisor offers very simple and user-friendly search tool to find tons of hotels with lowest rates. Tripadvisor searches the largest online travel websites, established hotel discounters and the world's leading hotels in real time and brings back results with actual hotel rates. Tripadvisor looks at all major online sources for lowest hotel rates in Toronto, so that you don't have to search at several websites. Thus, with Tripadvisor, you save your money and priceless time. Plus, rates you see in search results are the rates that you will pay while booking the hotel. The rates include all other extras  taxes, service fee/booking fee and other applicable surcharges. No more hidden charges, no more surprises! You can also read recent reviews for each hotel and view photos posted by real travellers. This may give you a better idea of what to expect when checking in with a hotel. So for cheap, discount rates for Toronto hotels, search with confidence on Tripadvisor and save your money and time. With great selection of hotels, flights, car rentals and cruises, Expedia is a number one, reliable online travel deals provider. Also, make sure to check their "Best Price Guarantee" offer, which assures you will not find a lower price anywhere else online. If you do lower price on a hotel, they will match that price. You will also find Last Minute Hotel Deals on Expedia.com . Hotels.com , an affiliate of Expedia, is a leading provider of hotel accommodation worldwide, offering reservation services through its own network of localized websites and telephone call centers. Hotels.com offers No Change or Cancel fees on lodging bookings! Hotwire.com is another great discount travel site that offers amazing cheap rates on airline seats, hotel rooms and rental cars. It offers Trip Watcher, a great tool that looks for lower-price travel days and sends you alerts for your travel destinations. 4-star hotels. 2-star prices. Save up to 50% with low Hotwire Hot-Rates! Often many hotels offer exclusive deals available only on their websites. Search websites of top hotel brands and if you're lucky, you may find some incredible hotel deals in Toronto. If you cannot find good deals on top Toronto hotels, there are several very good mid-range, budget hotels in downtown Toronto. Located near major Toronto attractions, these hotels provide comfortable accommodation, modern amenities and reasonably good services. Some of my personal picks are Holiday Inn Bloor Yorkville, Radisson Hotel Admiral Toronto-Harbourfront, Residence Inn by Marriott Toronto Downtown and Hotel Victoria. Check more Mid-Range Budget Toronto Hotels. Travelling on a very tight budget? Browse these Cheap Toronto Hotels.